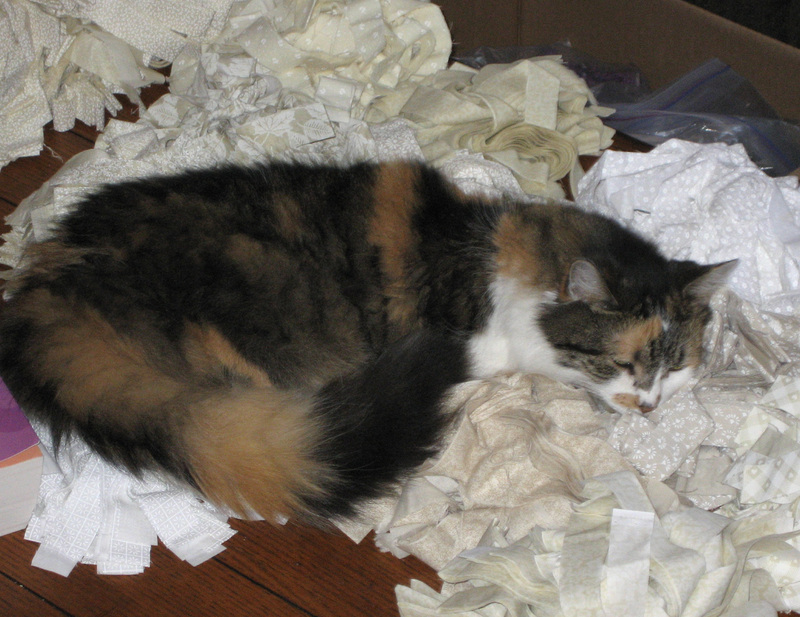 When you are busy crafting do you have helpers…of the non-human kind? I do! 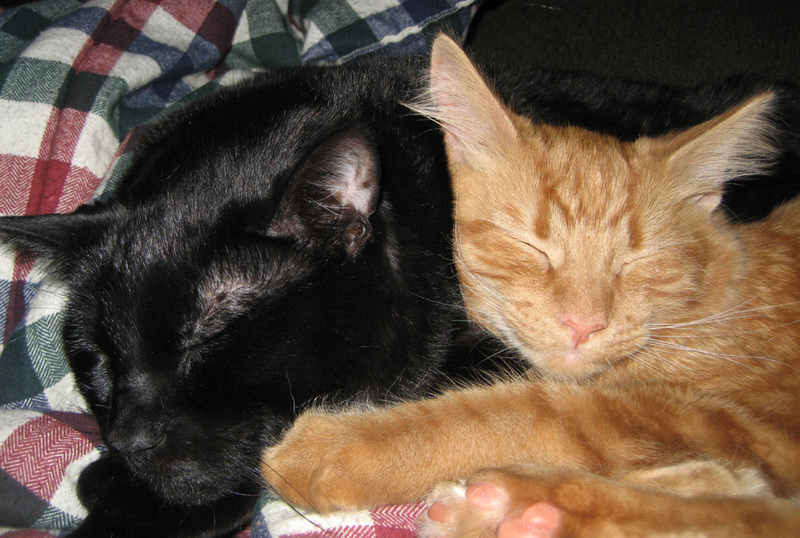 Scotch is now enjoying her time in Kitty Heaven, but carrying on her tradition are my kitties Scarpetto (left) and Skittles (right)! Don’t be fooled by how cute and peaceful they look in this picture — they can be a challenge! Not only do they think that my supplies are THEIR toys, but when I’m in my recliner they think it’s lap time! Sometimes when I’m knitting I have to lean over the edge of the recliner because there’s no room for my needles and project in my lap! When I travel I always bring a project (or 2 or 3) with me. Last summer when I spent some time at a lake cottage with friends, I had brought a locker hooking project. 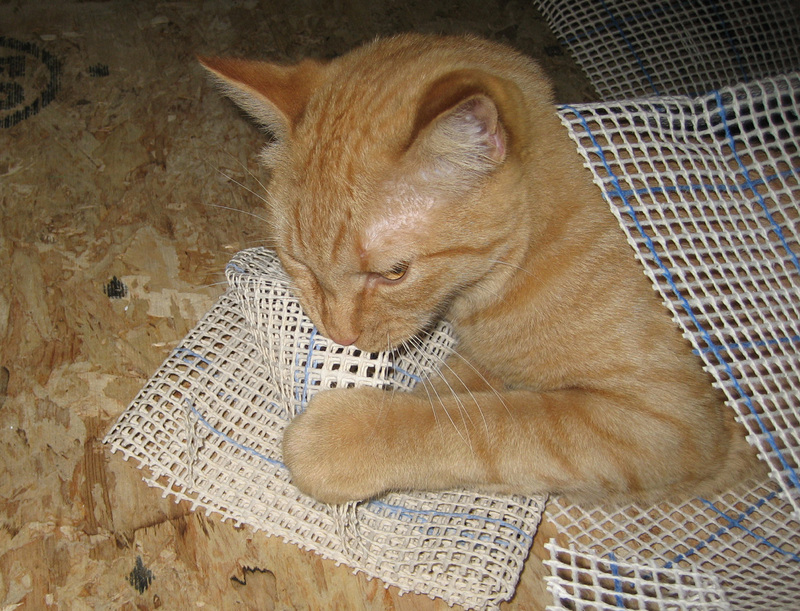 Their cat Nero thought the Graph ‘N Latch canvas was the tastiest toy ever! 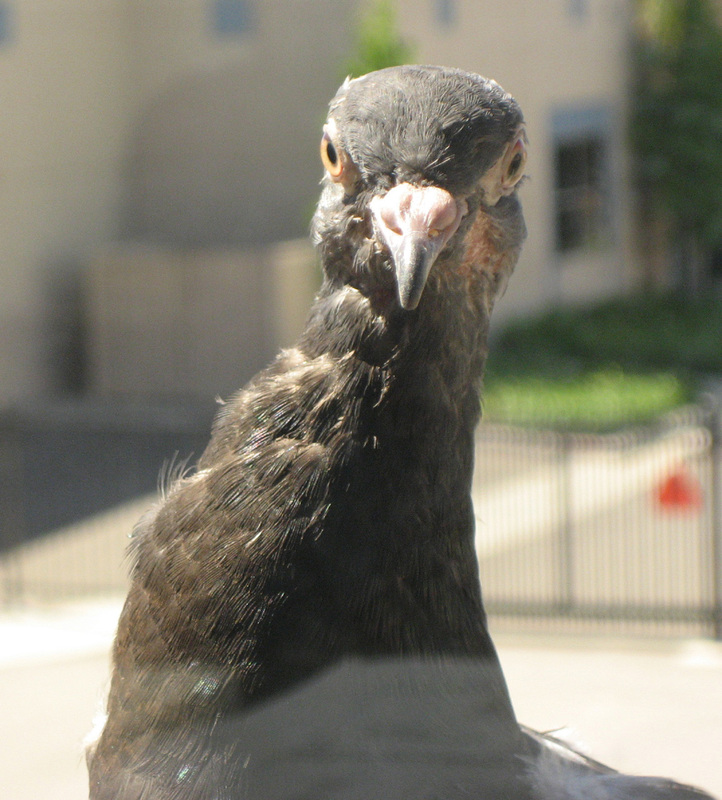 A few weeks ago when I was visiting MCG to see what was new, we had a visitor peering in the window who was also curious! Now that you’ve seen some of my helpers, who helps you, human or non-human? 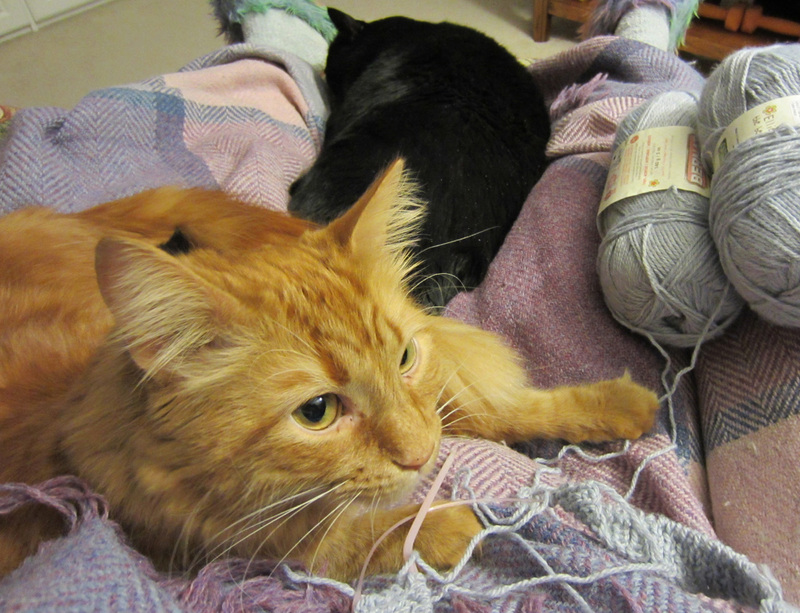 This entry was posted in Emmie and tagged Cats, Graph 'N Latch, Helpers, locker hooking. Bookmark the permalink.